In Belize, like most other countries, the health and survival of women and their newborn babies during pregnancy, childbirth and the postnatal period is of key importance. On this premise, the Ministry of Health in Collaboration with the United Nations Population Fund and the Belize Medical and Dental Association is hosting the 32nd International Pre-congress. Dr. Francisco Martinez Guillen (GUI-YEN) a Pediatrician and Neonatologist from Nicaragua is the facilitator. 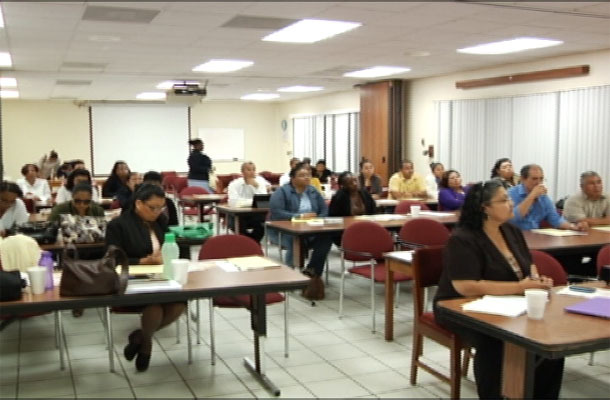 He spoke on some of the issues impacting maternal and neonatal care in Belize. Dr. Jorge Polanco, Deputy Director of Health Services, explained how the pre-congress hopes to address the issues of maternal and perinatal morbidity. According to Polanco the purpose of this exercise is to ensure that the case of a large number of newborns dying, as occurred at the Karl Heusner in May of this year, does not recur. The participants in the pre-congress are persons who work on the frontline such as clinicians, public health nurses and midwives.